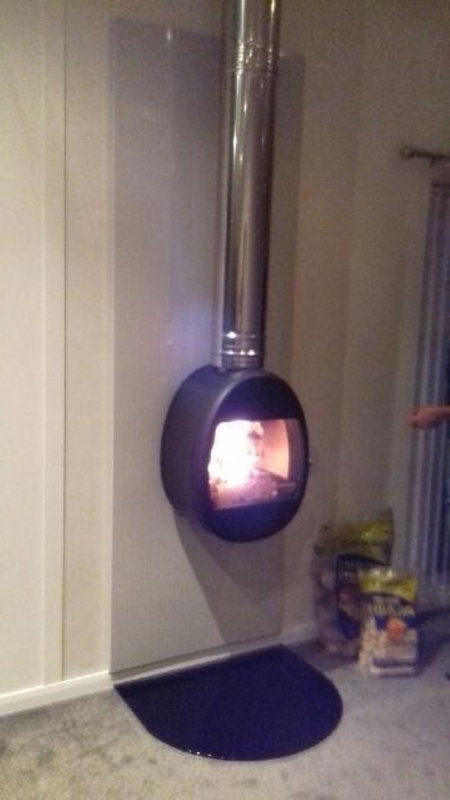 Scan 66 woodburner, wall hung wood burning stove installation from Kernow Fires. 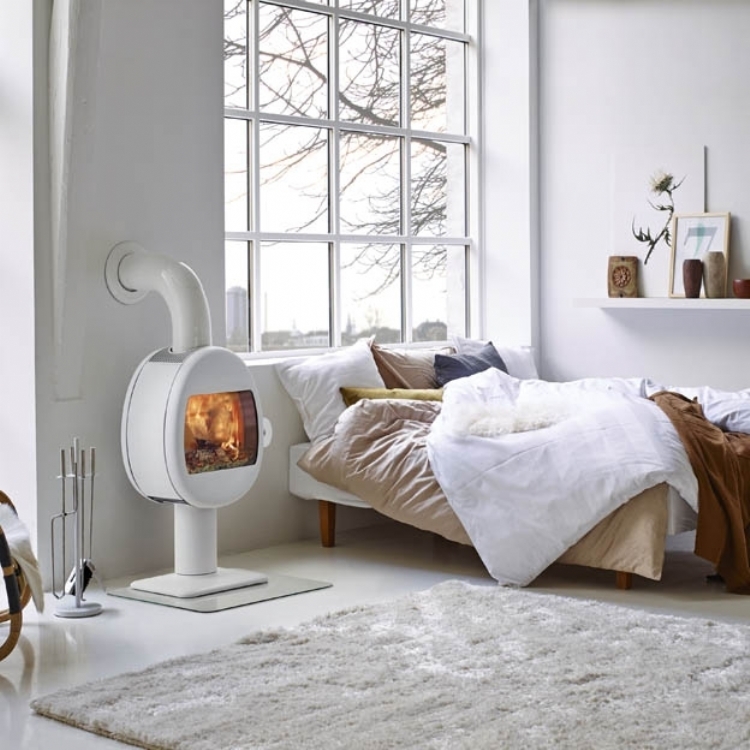 The Scan 66 is a very modern fireplace shaped like a egg. 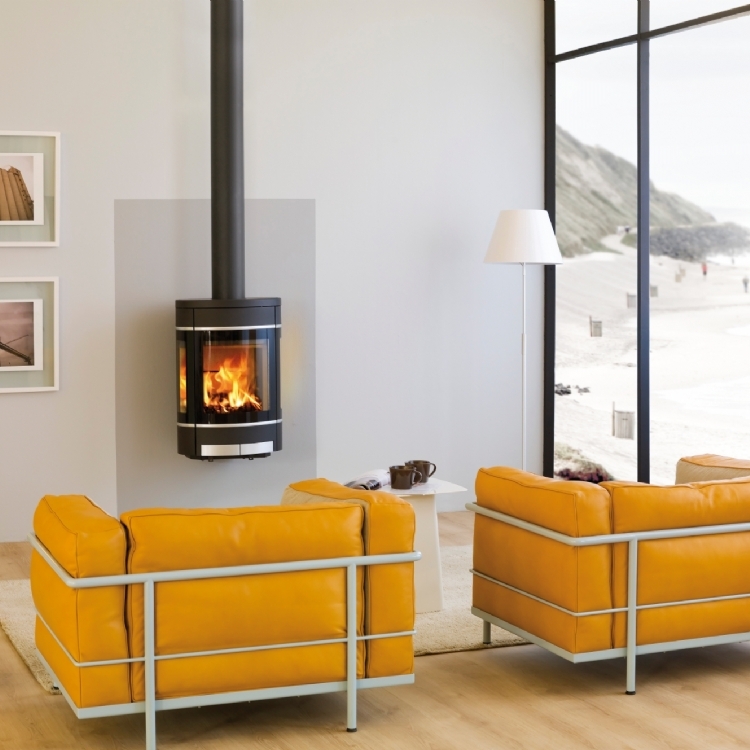 We have created a chimney using twin wall flue. 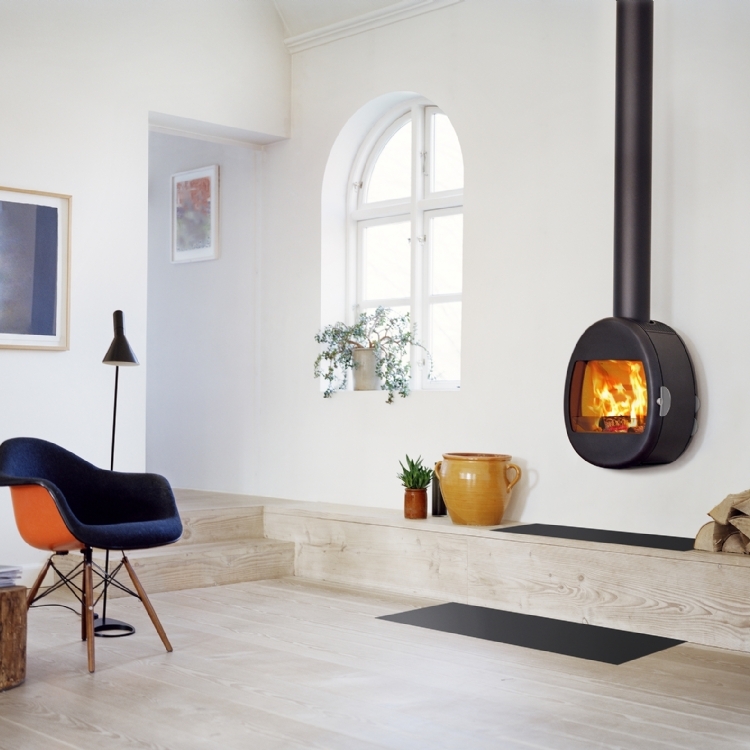 The hearth was made to order and shaped to complement the fire.